How to Choose the Right Chest Guard - The Macho Blog. 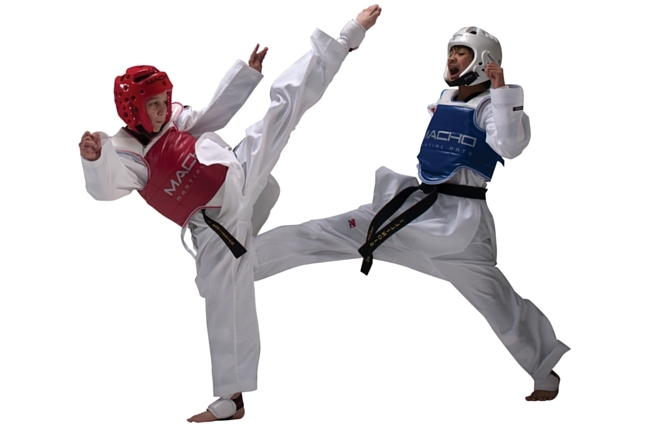 Chest Guards are an important piece of safety gear that is used in sparring, karate, and taekwondo. Often required in competitions, chest guards serve to protect vital body areas such as your ribs, kidneys, stomach, and shoulders, from strikes and kicks. When it comes to the weight of your chest guard, you will want one that is dense enough to absorb contact (the thicker the better) but light enough so that you won’t be slowed down or weakened by its weight. You can’t perform at your best if the chest guard won’t allow you to move, or if it makes doing certain movements uncomfortable. In order to avoid this, think of the types of moves you do and choose a chest guard designed with that in mind. For example, our most popular chest guard, the Sport Chest, is lightweight with excellent mobility. It features an above-the-hip design that reduces the chest guard’s displacement when sparring, and comes with an elastic crisscross design to allow it to be taken off easily. The most important part of every chest protector is how well it actually works. However, the one you choose may be decided based on what you intend to use it for. Will your chest guard only be used in light training sessions? If so, a less protective one may be ok for you to use. However, if you will be competing and taking multiple kicks and strikes to your body, then protection needs to be your biggest priority. To ensure you are purchasing a chest guard that offers the best protection, look for ones that say they are shock resistant. They will help disperse the force behind certain strikes to lessen their impact and help you come back from them quicker. 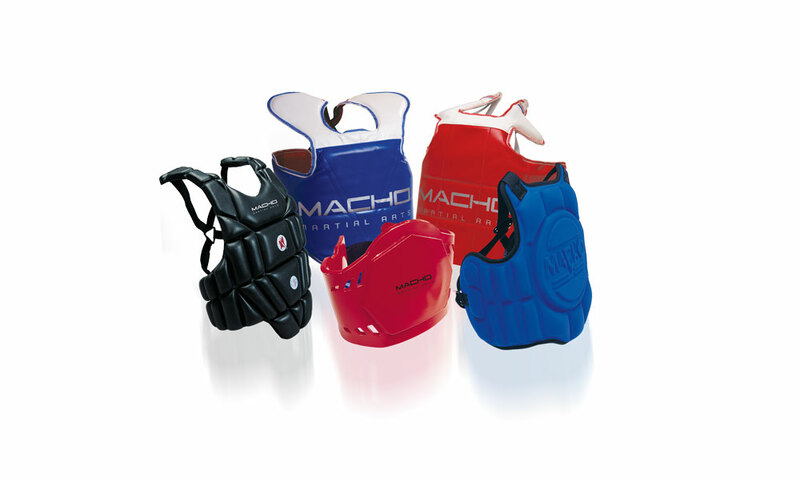 When Macho was first started, our founder saw that there were no high-quality chest guards being used in martial arts. Instead, competitors were using shoelaces to hold their gear together, and getting injured because of it. In order to create chest guards that would actually protect the wearer, our chest protectors were evaluated based on round house kick velocities, key strike zones, and product tolerance levels so that the protective levels of our gear were fully optimized. Ready to buy your first one? Shop Macho Chest Guards here.